A 1957 exhibition curated by the museum’s director, Clifford Dolph, led to the creation of the permanent display of chess sets. The museum now has more than 400 sets of these sculptures in miniature representing the many countries, cultures, and periods in which chess has been played. A 2016 reinstallation of the museum’s sets presents a historical global overview of chess, anecdotes, and stories about the game, and more than eighty of the museum’s unique chess sets and chess-related works of art. Wall-mounted cases hold complete sets and boards and the height of the displays enable easy viewing by people of all sizes, especially young people. 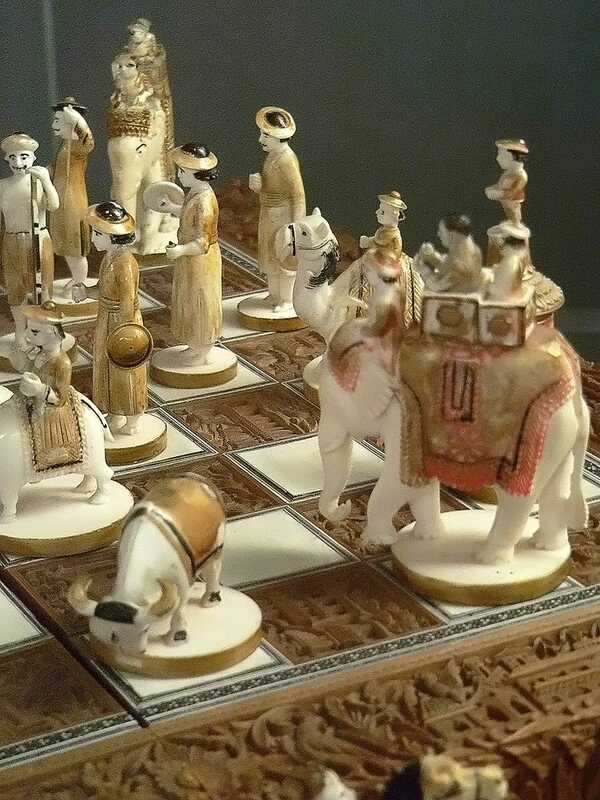 Image: Sandalwood and Ivory Chess Set, India 19th century C.E. Photography: Mary Haarsch.